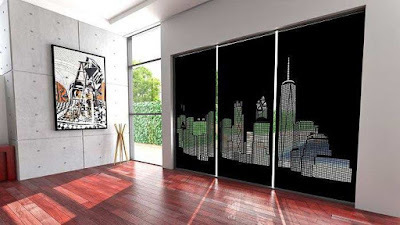 Today blackout curtains are used not so much to preserve privacy to protect them from sunlight. 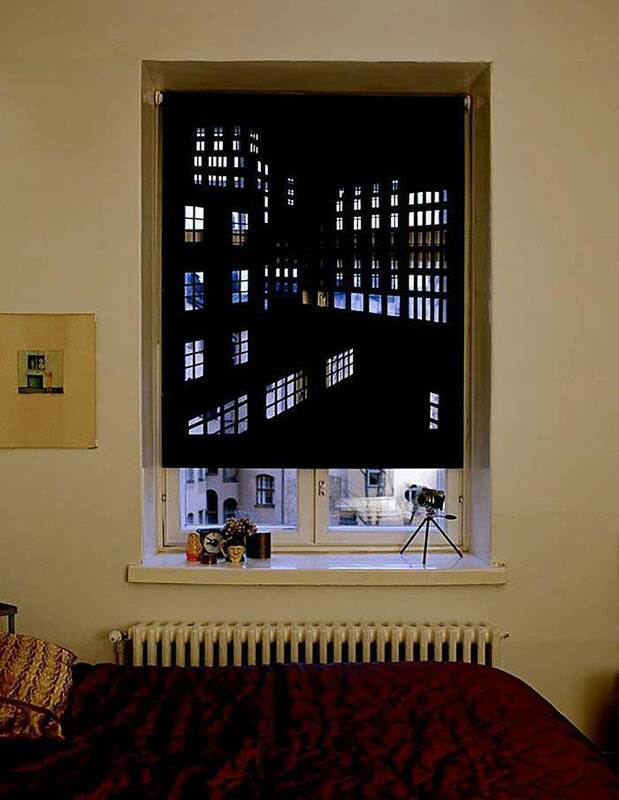 Such curtains are indispensable in bedrooms facing east or south, as they allow you to sleep longer, without waking from the bright light. 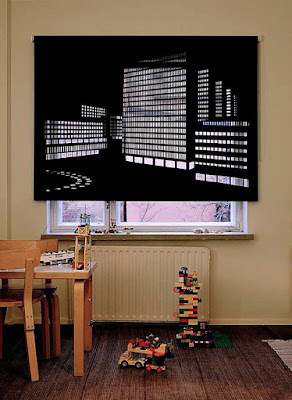 Most of the commercially available blackout curtains are woven with ultra-dense material and are capable of blocking 99% of ultraviolet rays. 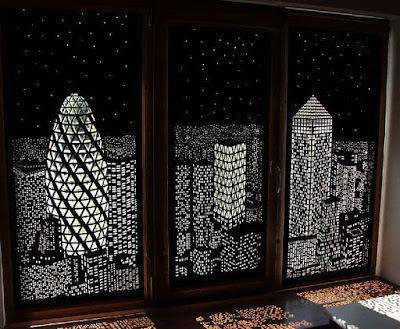 Since they delay sunlight, they also retain heat inside your house, which is actually in winter in rooms with a large area of windows. But the usual darkening curtains - it's practical but boring. Today, many designers offer unusual solutions for perforated curtains. 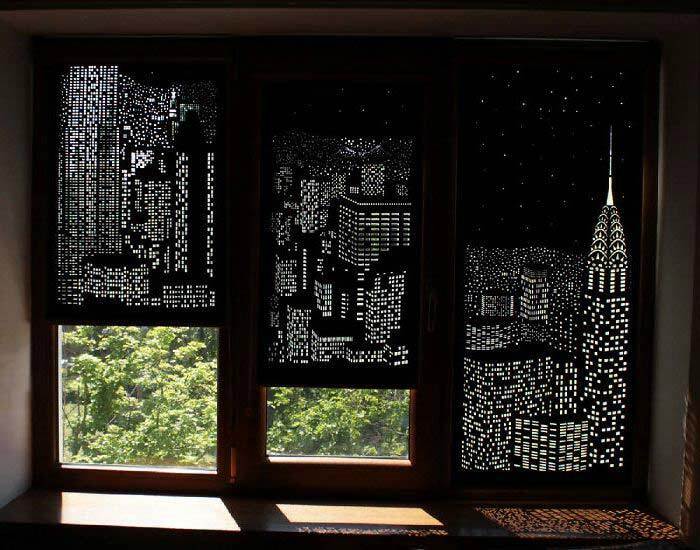 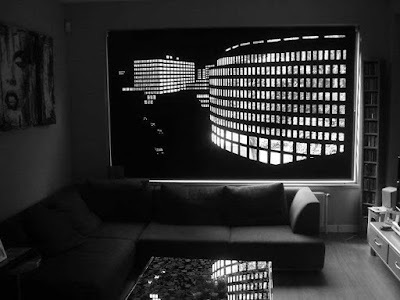 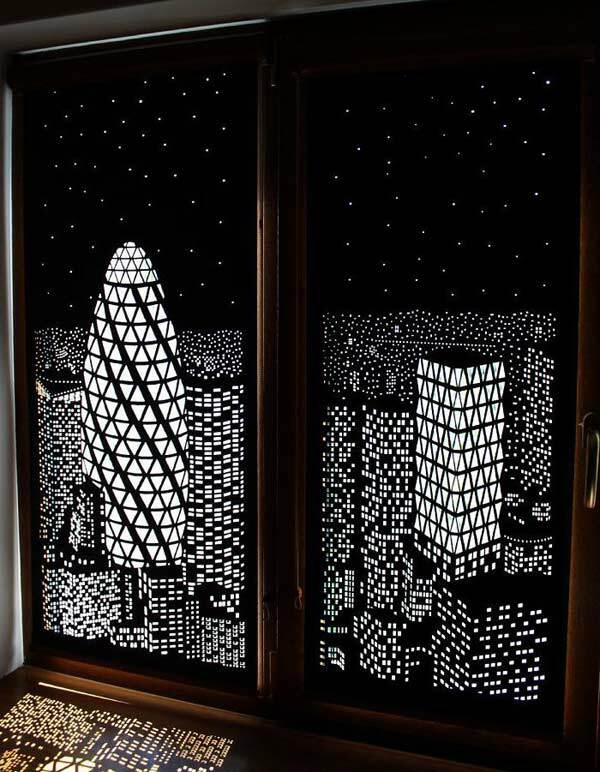 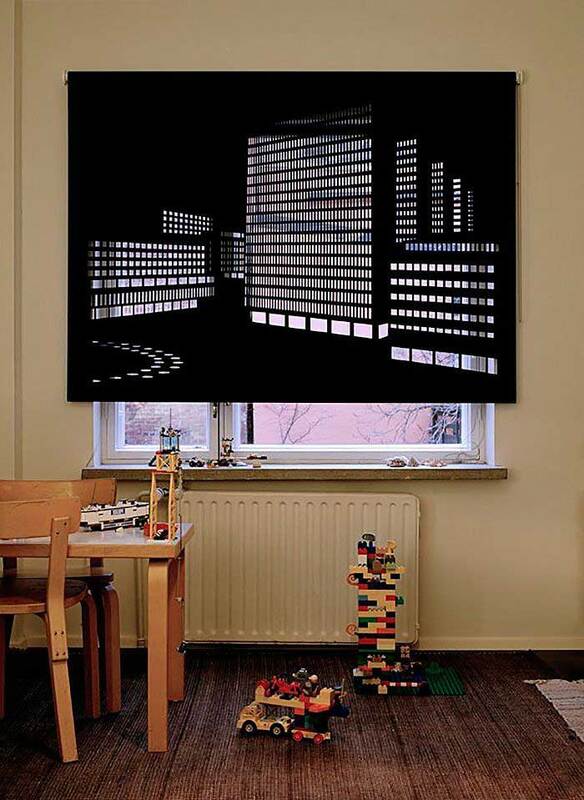 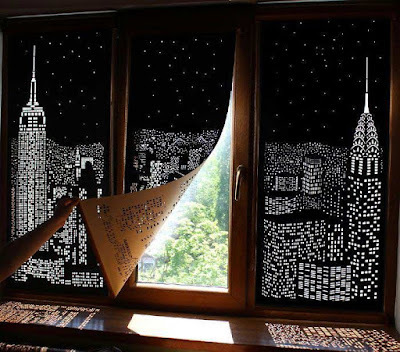 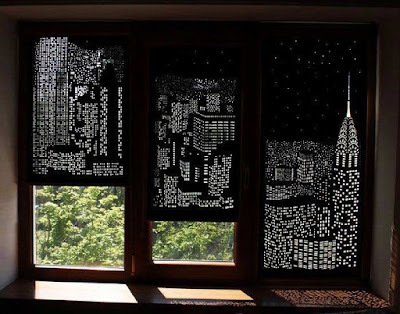 For example, the Ukrainian design studio Holierol created a collection of unique curtains with the effect of "lights of a big city" outside the window. 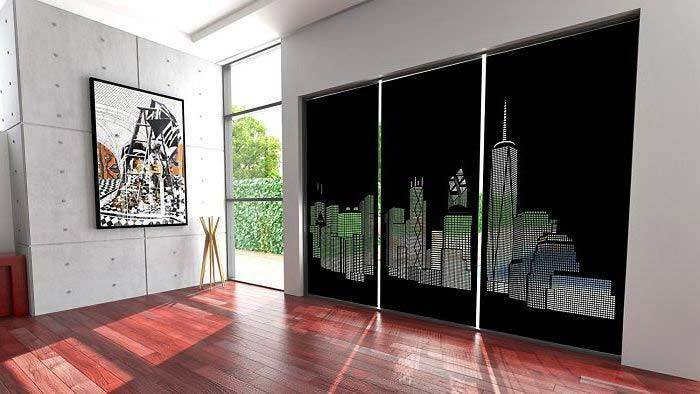 Curtains are perforated in the form of skyscrapers of New York and other major metropolitan cities of the city. 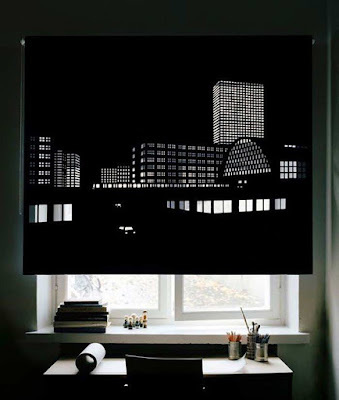 And this is the Elina Aalto collection for IUKBOX with a larger and uniform perforation.